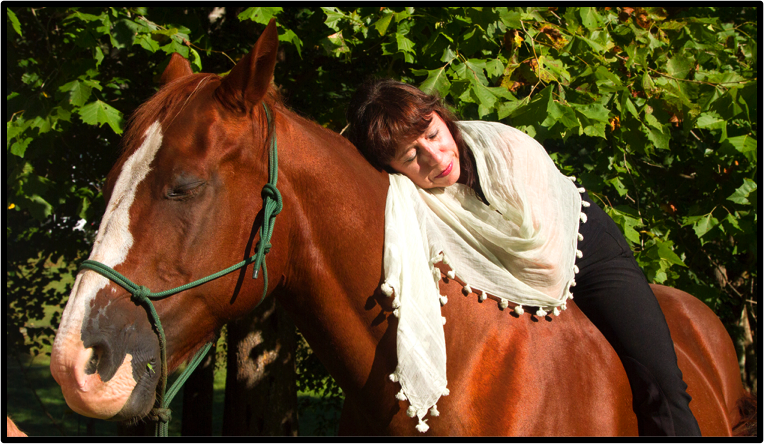 The PEACH Pit is partnering with Cathy Woods Yoga and Enrichment Programs to offer Renew and Reconnect: a restorative horse and yoga self-care women’s retreat through Body, Mind, Equine. This fundraising event is April 12-14, 2019, at The PEACH Pit Georgia, Fort Valley. Register today to use yoga principles to improve horsemanship and life in general. Experience rich, heart-connected time with yourself, others and the spirit of the horse, through meditation, yoga and optional saddle time. Lodging is shared in one of two 12×32 lofted cabins. Each cabin can sleep up to eight, but we will reserve space for only six in each: three sleeper sofa/chairs downstairs and three beds in the lofts, which are accessible by ladder and have sleeping space (not standing room). Each cabin has a shared bathroom (shower, toilet, sink). The rate includes five meals (light dinner Friday; breakfast, lunch and dinner Saturday; brunch Sunday). Cathy created this nationally acclaimed program and has been featured in Forbes; Western Horse and Gun; Equitrekking; and Yoga Digest. Learn more about Cathy Woods Yoga Body, Mind, Equine. This entry was posted in Fundraisers, The PEACH Pit General and tagged horsemanship, yoga.